Maternity leave laws were put in place to protect the time off work that is granted by an employer to a new mother or father (paternity leave in this case) to take care of and bond with the baby. Maternity leave is subject to certain eligibility criteria and limitations. Arranging time off when the baby is born is the first trip of the post-delivery journey. Several maternity leave options exist, depending on the state of your residence and the company you work for. 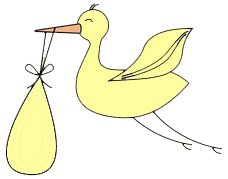 Typically, a maternity leave lasts for up to 12 weeks, providing there was a normal delivery and no complications for mom and baby (otherwise, more time can be granted). Because there are various requirements, eligibility criteria and factors that shape your leave, it is worth finding out in advance what maternity leave laws exist and how they apply to you personally. One of maternity leave options is an FMLA leave. For the purpose of this article, child-birth-related FMLA is the only one we will talk about. Interesting: Many countries in the world offer paid maternity leave. Belarus, for example, offers a 3-year maternity leave partially and fully paid. “unpaid, job-protected leave for specified family and medical reasons with continuation of group health insurance coverage under the same terms and conditions as if the employee had not taken leave”. According to the act, every eligible new mother or father working for a covered employer is entitled to up to 12 workweeks of unpaid leave in a 12-month period to care for a newborn. Two key points in this definition are that your employer has to be covered by FMLA laws and that you have to be considered an eligible employee. The leave doesn’t have to be taken immediately following the birth of a child. But can be taken any time within one year of birth. This allows for a mother and father to take their maternity and paternity leaves consecutively to prolong the amount of time at least one parent stays with the baby. The leave is usually taken as a single block of 12 weeks, unless your employer allows breaking it up. Is Your Employer Covered by FMLA? If you work for a private employer with less than 50 employees, there may still be state or company maternity leave laws granting you time off. Your Employer is Covered, but Are You Eligible? Good to Know: There are special eligibility criteria for airline industry employees. Consult this FMLA Guide published by the US Department of Labor Wage and Hour Division for details. Any biological, adoptive, step, foster mother or father or any other legal person providing daily care and financial support to the baby (in loco parentis). When you return to work from an approved FMLA you should be offered the same or identical job, pay, benefits and terms and conditions of employment (schedule and location). The employer cannot hold FMLA time off against you when it comes to promotions and discipline. Exceptions: Salaried FMLA-eligible employees who are among the highest-paid 10% of employees working within 75 miles of this employee’s worksite do not get job protection when returning from FMLA. There are also some special requirements for teaches employed at local educational agencies. Good to Know: If both parents work for the same company, they can only get 12 weeks total of FMLA, not 24! The employer must continue providing health insurance to the employee on the FMLA leave. The employee may be required to pay his/her share of monthly contributions, as he/she normally would (through paycheck deductions) if not on FMLA . You have the right to include paid time off you have accrued into your FMLA time. Your employer also has the right to request that you use your paid time off first. Keep in mind: this time substitutes for some of your FMLA time, it does NOT add to it. This paid time taken within your FMLA is subject to FMLA regulations, which means you get the job protection and other benefits of an FMLA leave. So if you have one week of sick time saved, and you want to use it towards your FMLA time (or your employer requests that you do) your FMLA will still last 12 weeks, but one week will be paid. Many people look at it as a bad thing. It may seem as if you lose some of your FMLA time, if you have saved paid time off and are required to use it first. But look at it this way. If you know in advance that you can’t afford to live without pay for 12 weeks, then saving your paid time off and applying it towards your FMLA is the best option. You can still get your 12 weeks AND you get paid for part of it. If money is not an issue, then the ideal scenario is to use up all your saved paid time before FMLA. Take a short vacation some time during pregnancy, as another opportunity might not come for a while. Or take some time off if you feel uncomfortable during the last months of pregnancy. Or simply use some time for organizing the nursery or getting ready for the baby shower. In this case you will still be entitled to 12 weeks of unpaid FMLA. And you get nice vacation time! If you know that you will need an unpaid family leave, you are required to let your employer know at least 30 days in advance. There are some rigid guidelines as far as the application process. Educate yourself on how and when you need to apply and what you can and cannot ask for. This FMLA guide outlines how the application process works and talks about the responsibilities of each party. If you ever run into any type of problems concerning FMLA, it is best to solve them internally with your company human resources and your boss. Federal requirements listed above are the absolute minimum when it comes to FMLA. Your employer has the power to offer better conditions and make it work in your individual situation. Your employer is also the one you will come back to work for. Therefore, it is best to take care of all the issues and concerns in a nice and friendly manner. 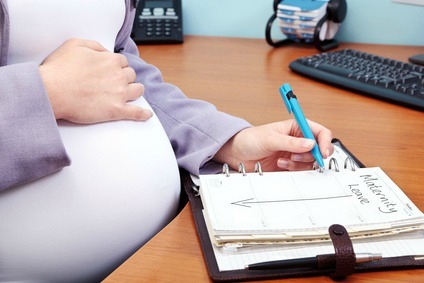 How are Maternity Leave Laws Enforced? As FMLA is controlled and enforced by the Department of Labor, all companies are usually supportive of its laws and policies. If your employer fails to comply with FMLA leave rules or you experience any type of maternity/paternity leave discrimination, you can file a complaint with your local Wage and Hour Division. Call 1-866-487-9243 for instructions and directions. How Much Maternity Leave Time Should You Take? Maternity leave is that perfect time and opportunity to bond with your baby and make sure breastfeeding goes well. That is why it is recommended that you use as much of this time as maternity leave laws allow. Most women who decide to return to work early, do so because of financial considerations. Therefore, it is important to try and plan accordingly in advance to be able to afford the entire family leave later. 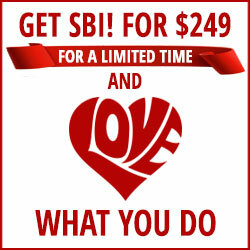 Can you or your partner find second job now to supplement income and save for later? Have you considered finding a part-time evening job instead of going back full time, so that you could work when your partner is home with the baby? Circumstances vary and you can only do what you can. But every extra day you spend with your baby is a great benefit to both of you!